This post of mine is entirely dedicated to all the lovely mothers out there. Mothers are the true blessings. As the Mother’s Day is approaching, we at ‘TheTechBeard‘ thought of coming up with something dedicated to mothers. What other idea we could come up with than something related to technology. In the age of hi-tech era, even mothers are no more limited to just kitchens and household works, they are trying to expand their horizons and learn new things. Why not! Technology has so much to offer that our mothers are also making its optimum use either for entertainment, to learn something, connect with people and much more. A year back, my mom was using the simple keypad mobile phone and was very uncomfortable when her cellphone was replaced with a smartphone. But she had that zeal in her to learn how to use a smartphone and today, she is on Facebook, WhatsApp, using various apps, checking out videos, making video calls and what not. 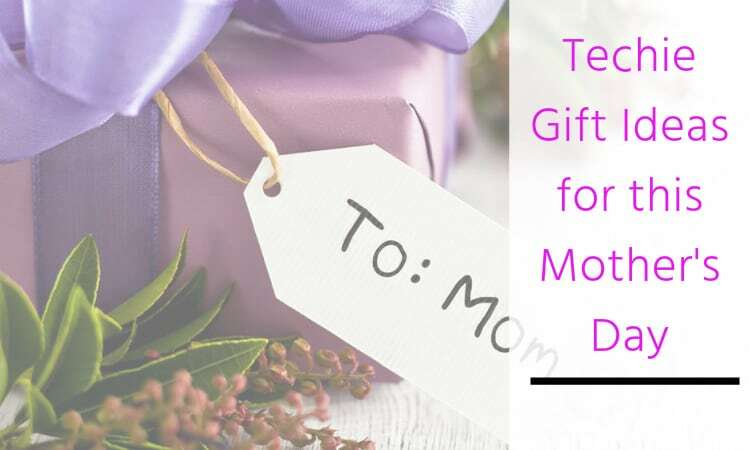 I am writing this post keeping all the mothers in mind and what could be the best Mother’s Day tech gift ideas this year. I would let you know which one I would go to gift to my mom by the end of the article. Bang on and check some of the best techie gift ideas on this Mother’s Day. You can indeed go in for any latest smartphone for your mother. Which one would you pick is entirely your choice. 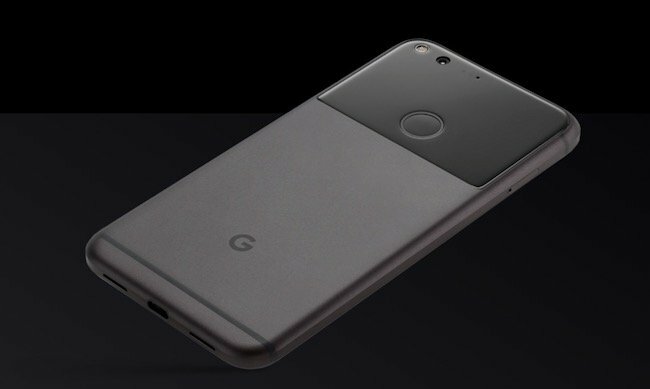 However, I would like to suggest you one cool smartphone that goes by the name Google Pixel. The 5 inch smartphone with 1080P display 2770 mAh battery is definitely a smartphone worth going for. You can check out our article useful Google Pixel and Pixel XL tips and tricks which will definitely help you get more knowledge about the device. Along withe the smartphone, you can gift your mom and nice looking mobile case. Take a look at one of our list of the best Google Pixel cases and covers. Aha, now this is one considerable option for the mother’s day. Google home is a smart home product that appears to be like a speaker sitting on the table. Let me correct you, its not a speaker or anything of that sort, but is a device that with the first settings done properly, hears your voice and responds to the same. For example, you ask it to read the news headlines, ask the outside temperature, or what all mails have you got when you were away. For the tech-savvy moms, this is an ideal gift. 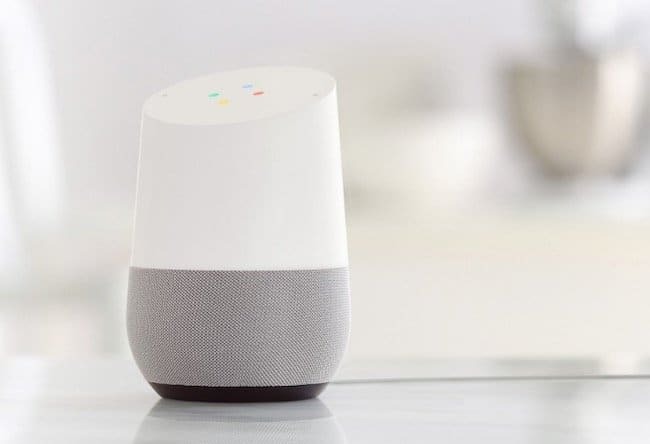 Initially, Google Home used to respond to only one person’s questions, but lately, a feature has been added to Google Home that it can respond to multiple people. Want to know how to add multiple accounts on Google Home? Read our article on the same. Garmin Vivomove Classic is a wonderful smartwatch that your mother is sure gonna love. What’s cool about it? Well, its design and built, its performance and fitness tracking, its compatibility all blends well to form a masterpiece. Its strap is crafted of such a material that it causes no skin irritation. Moreover, its smart tracking and on-watch display is the additional features. Wanna know more about the smart watch? Read our review on the same. Garmin Vivomove Classic Review : A Classy Hybrid Smartwatch for Fitness Enthusiasts. My mom is trying to lose weight for which she goes for the jogging and does her exercises daily. This fitness watch is definitely on my list. Nothing could beat amazon kindle if your mom is a book lover. If she loves reading, she would any day love the cool Amazon Kindle. 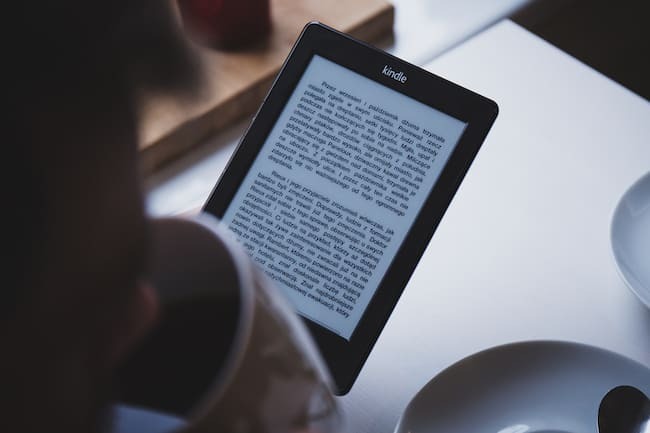 My mom is not that fond of reading too many books, so I would drop the idea to buy her Amazon Kindle but if your mom is the book lover kind of a person, Amazon Kindle is definitely worth going for. The best part is that it won’t cost you much and you could give your book lover mom one of the best gifts. From a very small kid to the elder people, everyone loves music. Now a days there is a variety of devices to let you enjoy your favorite beats. 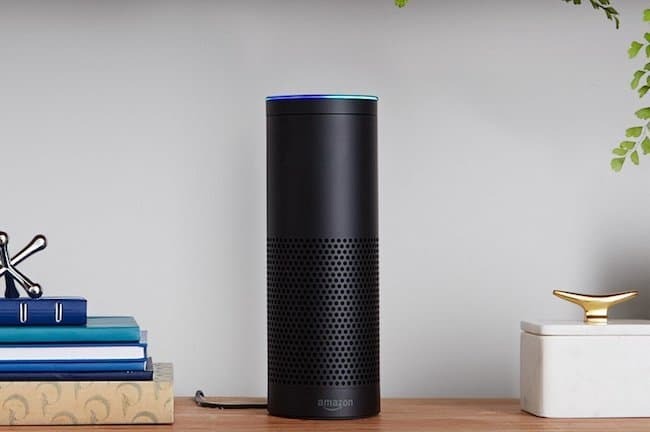 If your mother is a music lover and she has no option than to enjoy music from the old music systems, you can gift her Amazon Echo speakers that are small enough to port from one room to another. The stylish cool device not only lets users enjoy music, but also answer questions, reads the news, reports traffic and weather, reads audio books from Audible, gives information on local businesses, provides sports scores and schedules and more using the Alexa Voice Service. That’s not all, users can also control lights, fans, switches, thermostats, garage doors, sprinklers, locks and more with compatible connected devices from WeMo, Philips Hue, Samsung SmartThings, Nest, ecobee, and others. What else one could ask for from simple looking speaker that not only fulfills the entertainment needs instead performs different functions? 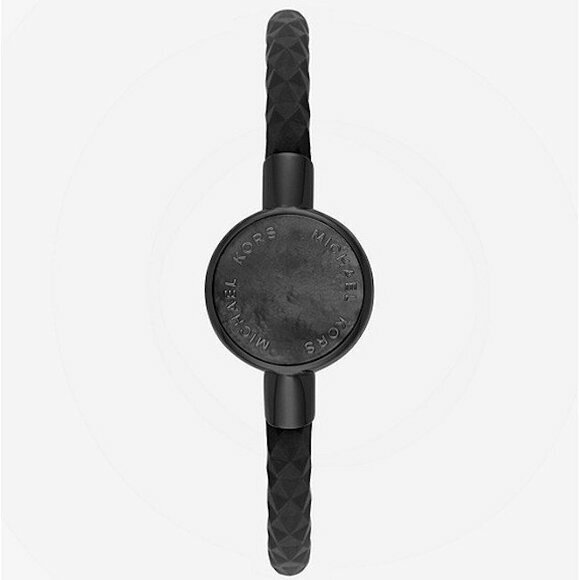 Here is a stylishly cool activity tracker with a tagline – ‘Style that moves you’. With Michael Kors you can track your beauty sleep as it comes with a built-in monitor to let you record your progress over time. This is gonna be one of the wonderful gift for your mom as it combines style and fitness motivation. With it, she will be able to track all her fitness activities. This is up on my list to buy as a gift for my mother this Mother’s Day. It sends a prompt to let you know when to flip. It tells you when to stir the contents or add ingredients. Besides, it tells when to adjust the heat on your stove. You also get the prompt when the dish is ready. 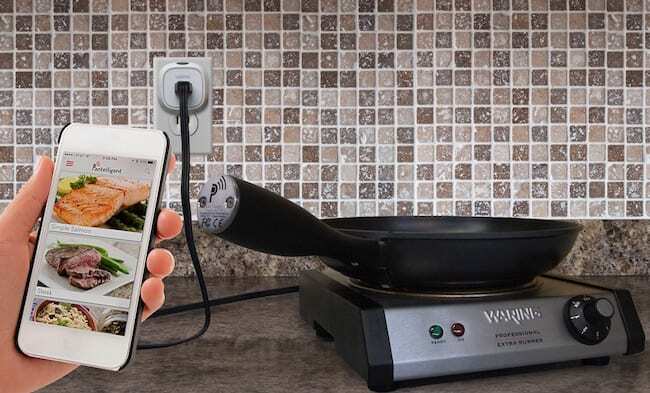 It works on any gas or electric stove. The pan might look usual, but is here to leave your mom amazed. If your mom uses compact; I am sure she does, then here is a smart compact mirror that is not something ordinary. The cool Pearl compact mirror is a 3.5-inch disc that comes with two mirrors, one of which is 3X magnified. The mirror doubles as a battery pack for iPhone, iPad and USB devices and comes with 3000 mAh battery along with 2.1A USB charging port. You can gift your mom the cool new iPad with 9.7-inch display. 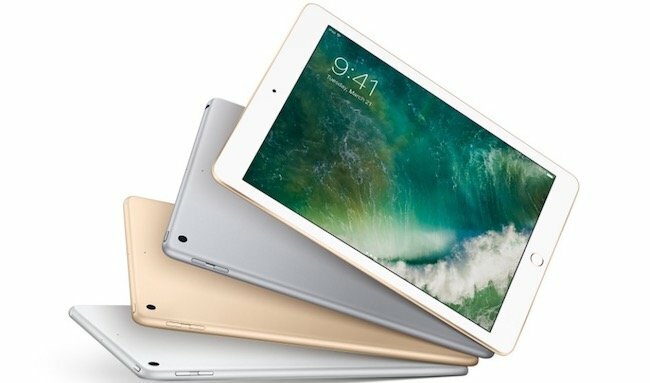 The tablet comes with Apple’s bright Retina technology and comes with 2,048 x 1,536 resolution and offers 10 hours of battery life. The new iPad comes in three colors viz. silver, gold and space grey. You can also gift iPad case for the safety of the new device from our collection of best iPad 9.7 inch 2017 cases and covers. If you have pets at home and your mom is a pet lover, she is definitely gonna love this one as this will ease her job of giving food to the pet. How? Here is an automatic pet feeder that dispenses food at the scheduled time. Also, users can fix the quantity. 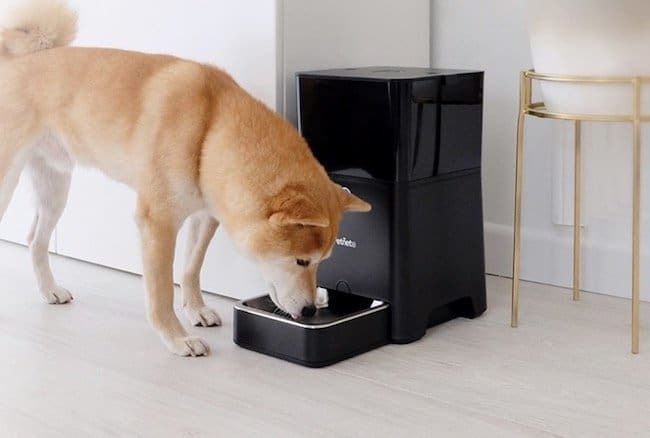 So, if you have pets, you can let your mom heave a sigh of relief by gifting her this automatic pet feeder so that when she is running late or she forgets to give food to the pet, she doesn’t have to feel guilty. All she got to do is fix the schedule and the amount of food to be dispensed. Notion is a wireless home monitoring system that is here to let home owners monitor their entire home, even when they aren’t there. Moms are always worried about home, if its locked when they are out for some work. Notion will help them monitor the happenings in the home. It tells when your door, garage door, liquor cabinet, or gun safe is opened. Not only this, it helps set the desired temperature in the home, let you know about water leaks, has a smoke alarm and much more. This is not something for her personal use, but I am sure your mom will love this gift. Women love handbags and if it has some utilitarian value, nothing like that. Here is one smart tote bag that besides holding the stuff, promises to offer you something cool. There is a charging pocket inside the bag that will charge up an iPhone (between iPhone 5 and iPhone 7). 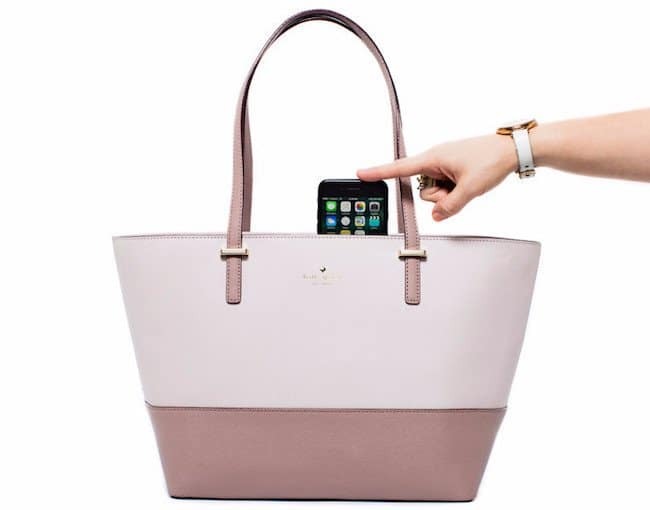 If your mom has an Apple device (s), she is gonna love this tote bag. The bag also fits laptops as large as 13-inch MacBooks. The best part is that there are no extra wires, there is a simple wireless recharging mat that does the job. Have any cool Mother’s Day tech gift ideas worth sharing. Go ahead, drop your comments below before the day approaches and let us know which one of these best Mother’s Day gift ideas you liked. Also, let us know what have you bought for your mother or plan to buy for the great day.